The culinary industry in Kentucky is comprised of over 7,500 different eating and drinking establishments. Currently, over 200,500 people are employed in the industry, making up almost 12% of the entire workforce of the state. An additional 24,800 jobs are expected to be added by 2026 and educated culinary professionals will be in demand. Earning a culinary credential or degree is a step in the right direction toward a rewarding career, with job security, in the culinary industry. We created a list of the top 10 best culinary schools in Kentucky. Schools selected for our list offer hands-on culinary training, experienced faculty, and a variety of culinary courses. We looked at a wide variety of schools offering vocational programs, degree programs, diploma programs, and certificate programs. Several schools on our list have received accreditation by the American Culinary Federation. All programs in our list have a positive reputation in the community based on our research. Martha Layne Collins High School in Shelbyville, Kentucky offers one of the best culinary programs for high school students who want to pursue a career in the culinary arts. Students complete the program in three semesters, taking coursework in foods and nutrition as well as the culinary arts. Students have the opportunity to receive hands-on instruction in a kitchen laboratory setting as they learn about food presentation, garnishing, menu planning, sanitation, and nutrition. In the final semester of the program, students have the opportunity gain professional work experience through the student run catering service. The Career and Technical Education program at Henderson County High School features a top culinary program designed for students who want to get a head start on their career in the culinary arts. Students have the opportunity to complete both classroom and laboratory courses that cover a variety of areas from nutrition to culinary preparation techniques. Students also complete on the job training through a workforce development opportunity in their community. This arrangement allows the students to receive professional instruction in a real world culinary environment, as well as the opportunity to network and explore the different job roles in the industry. Austin Peay State University offers a unique AAS degree in Management Technology with a concentration in Restaurant Management and a specialization in Culinary Arts. The program is offered at the Fort Campbell, Kentucky campus and is open to military service persons, veterans, and civilians. This 60 credit hour program features courses in food and beverage management, culinary food preparation, sanitation, and international food preparation. Electives are available in areas such as culinary baking, bar service, meat cutting, and decoration and design. A field study is also a requirement of the program. Elizabethtown Community and Technical College is a top culinary school featuring a variety of culinary degrees, diplomas, and certificates. Students can earn their AAS in Culinary Arts and may select a concentration in either Food and Beverage Management or the Catering and Personal Chef track. Associate degree programs require students to complete either a practicum experience or a cooperative education experience to gain professional experience. Diploma programs are slightly shorter and require students to complete courses directly related to the culinary arts, in addition to technical or support courses which also include a practicum or cooperative education experience. Certificate programs can be completed in about a year and can be earned while the student works on the more advanced degree. Certificate options including advanced catering, culinary arts, catering, food and beverage management, and advanced food and beverage management. Certificates are also a great option for students who need a program that covers the basics to jump start their professional career. Ashland Community and Technical College is a top culinary school with an extensive offering of culinary programs. Associate degree programs can be completed in about two years and students are able to earn certificates along the way. Students have access to a state-of-the-art commercial kitchen/laboratory where they receive hands-on instruction from experienced faculty. The curriculum is broad, covering everything from catering to cost control to basic sanitation. Students graduate with the experience needed to be successful in entry level culinary positions in a variety of venues including resorts, health care facilities, school cafeterias, and restaurants. Southcentral Kentucky Community and Technical College offers a variety of culinary programs that work together like a career ladder. Students can earn their certificate and decide to continue on to earn their diploma and then finally to their AAS degree. By taking this approach, students are more marketable and have specific skills that are desirable in the workforce. Coursework covers a wide array of coursework such as nutrition, sanitation, cost control, and purchasing. Students have access to a state-of-the-art culinary lab with the latest in modern kitchen equipment, similar to what they will find out in the field. Throughout the program students have the opportunity to work both in a dining room environment and a commercial kitchen. West Kentucky Community and Technical College is a top accredited culinary school featuring a variety of culinary programs. Students learn in a hands-on environment in kitchen labs that mimic an actual commercial kitchen. A low student-faculty ratio ensures students receive individualized attention. Instructors are experienced culinary professionals who have worked in a variety of settings including some of the finest restaurants in Paducah. Graduates are prepared to work in entry level positions in a variety of settings including hotels, restaurants, cruise ships, resorts, and commercial kitchens. The Lexington Campus of Sullivan University features an AS Degree in Culinary Arts that has received exemplary status from the American Culinary Federation. The program features expert faculty and state-of-the-art facilities that are similar to what students will encounter in the real world. Hands-on learning is a key component of this program and students spend the majority of their time immersed in the kitchen lab. Externship and practicum opportunities are available at some of the finest restaurants in Lexington. The Louisville campus of Sullivan University offers a dynamic, hands-on culinary program that is very visible in the community. The Bakery at Sullivan University produces cakes for celebrities such as Dannielynn Birkhead, and designs beautiful wedding cakes. The Louisville campus also features Winston’s Restaurant, a 3.5 star restaurant with lunch and dinner prepared by students in the Culinary Arts program. Professional Catering students have the opportunity to gain experience working for Juleps Catering, a fully operational catering company located on campus. Culinary instructors are well respected in the industry and several make public appearances during the week of the Kentucky Derby. 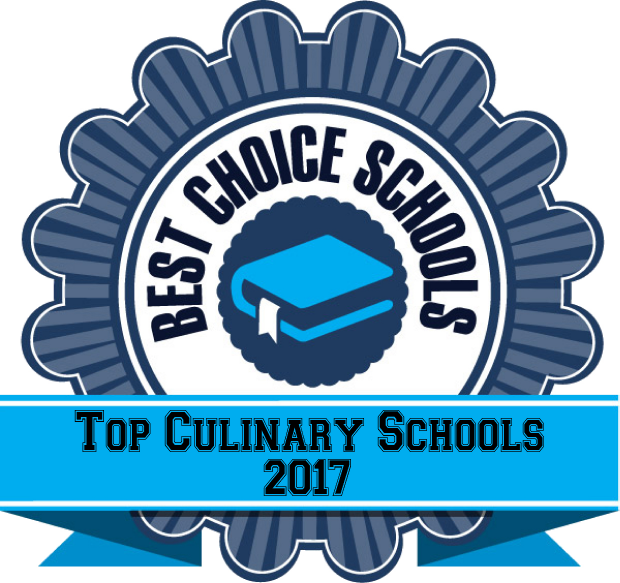 Jefferson Community and Technical College is a top culinary school with programs accredited by the American Culinary Federation. Students are exposed to a wide variety of courses covering international cuisine, baking and pastry arts, purchasing, cost control, and special event planning. Throughout the duration of the program, students work in a state-of-the-art commercial kitchen/culinary lab and dining room to gain professional experience. Instructors are well respected in the field and come from a variety of backgrounds, lending their knowledge and expertise in multiple areas. This program follows the teaching philosophy of the American Culinary Federation, the National Restaurant Association, and the Academy of Chefs.